join us to the TV advertising revolution. Icareus Addressable TV solution is market leading innovative publisher side platform targeted for broadcasters and operators. Personalising TV advertising, or Addressable TV, has been the holy grail for broadcasters that they have been searching for decades. It maybe the best way for them to compete against the Internet companies that are constantly growing their advertising market share. 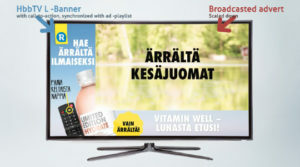 Icareus Addressable TV solution offers an publisher side platform to address the personalisation and programmatic paradigms in TV advertising. It offers new and innovative ad formats that can significantly increase broadcasters ad inventory and thus revenues. Icareus Addressable TV solution integrates with broadcasters existing ad platforms, personalisation engines and broadcast automation systems to provide an easily scalable and almost automatically run system with high ROI. Read more about our Addressable TV Formats SwitchIn, ActiveAd and VideoSwap. 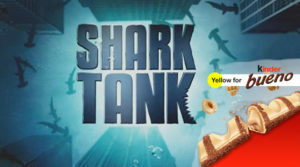 SwitchIn format is guaranteed to give high impact as the display ad is shown when viewers tune-in to your channel. As it can be targeted and managed in many ways it is possible to build different kind of ad campaigns that fit advetisers needs. The most appealing aspect is the possibility to use programmatic advertising to basically automate your ad-sales, with a premium. 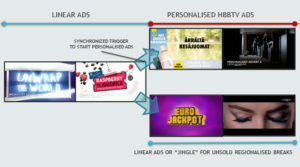 ActiveAd provides advertisers a new direct interactive connection to viewers that is synchronised with their broadcast commercials. It is a unique format provided by Icareus that viewers have said to be added-value rather than intrusive. Providing upto 4% click-through-rate it offers a high impact advertising and excellent return on investment. Providing targeted and personal video advertising in a broacast environment has been the holy grail of TV advertising – and finally it is here. Icareus VideoSwap enable broadcasters to maximise the revenue potential of broadcast advertising by substituting linear commercials with broadband delivered videos based on the viewer profile and/or their regional location. Broadcasters are now able to reach more niche target groups during popular shows instead of “wasting” that reachable audience.